Dayco Heavy Duty High Performance Drive Belt With Teflon Constructed with extra strong p-aramid cord reinforcement and engineered fiber loaded neoprene compounding. Tested and proven to run cooler and provide longer belt life than competive belts. Includes Friction Plates, Driven Plates and Springs. 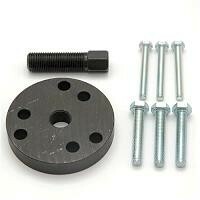 6 Hole Disk with 6mm and 8mm puller bolts. 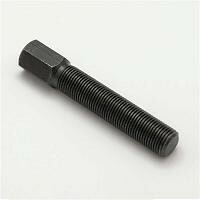 30mm x 1.0mm Right Hand EXTERNAL Thread Flywheel Puller. 2 7/8" Pulling Depth. Yamaha Complete Engine Gasket Set. 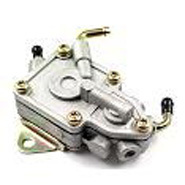 Includes Head, Base and Crankcase Gaskets, Valve Seals, O-Rings and Exhaust Gasket. Includes Head, Base, Exhaust, O-Rings and Valve Stem. Includes Head Gasket, Base Gasket, Reed Block Gasket and Exhaust Gasket. 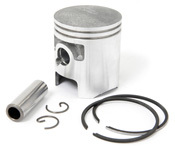 Yamaha YFS200 Blaster Piston Kit. Yamaha YFS200 Blaster High Compression Piston Kit. Includes piston, ring set, wrist pin and 2 circlips. This is 7th over (2.00mm) or 68.00mm. Standard is 66.00 mm. Yamaha YFM600 Grizzly 2nd over piston kit. Yamaha YFM400 Kodiak and Big Bear Piston Kit. Includes Piston, Rings, Wrist Pin and Circlips. Yamaha YFM450 Kodiak Piston Kit. 4th Oversize Piston Ring for Yamaha Grizzly. 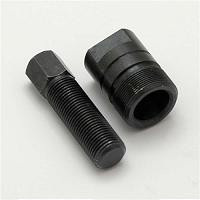 Yamaha YFS200 Connecting Rod Kit. 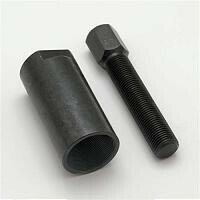 Includes Rod, Pin and lower bearing. New, not remanufactured Armor-Tech Yamaha Blaster Crank. 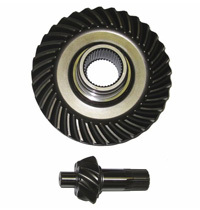 Features heavy duty connecting rod and rod bearing. Stronger than stock. This high quality replacement is more economical than rebuilding a stock crank.